Awarded the BAFTA Award for Best Foreign Language Film; It was entered into the 1983 Cannes Film Festival and won the Technical Grand Prize and awarded Best Artistic Contribution. It was nonimated for an Academy Award for Best Foreign Language Film. Now showing at London's Spanish Film Festival and available on Netflix. © Copyright with all rights reserved. This writing may not be copied, republished, reproduced or disseminated in any form; without the express written approval of the author. This version of Carmen is one you probably have never seen before. It is not the opera and it is not a movie of the opera. 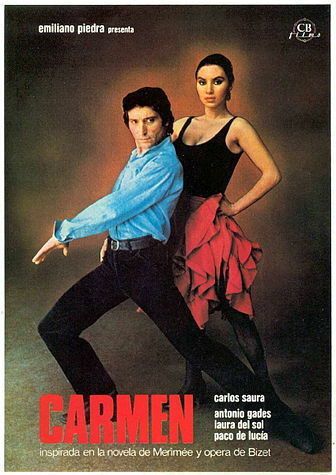 This movie is about a Spanish dance troupe performing the story of Carmen through Flamenco! The lines between the story of Carmen and the lives of the dancers begin to cross and we find that life imitates art – or is art imitating life – as Carmen becomes a story within a story. When I was twelve years old, I was one of a few schoolchildren selected to attend a performance of the opera “Carmen” at “His Majesty’s Theatre” in Johannesburg. This was my first attendance at an opera. 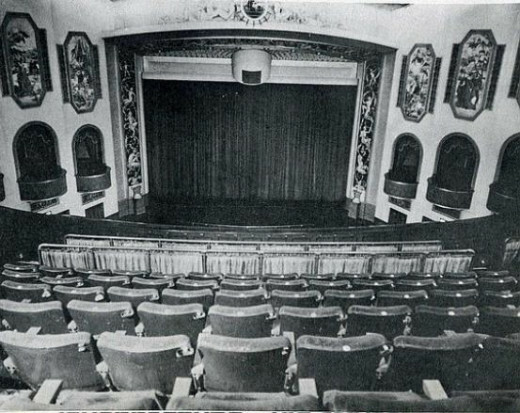 His Majesty’s was a beautiful theatre in the middle of town. It had window boxes, a star-spangled ceiling, and all the accoutrements of a high-end old-fashioned opera house. When the heavy velvet curtains opened on the production, I was spellbound. Not only was the music soaring and beautiful, but the sets, the costumes and the fiery and sexual personality of the Gypsy, Carmen, was completely captivating, and the fact that the libretto was in French made the production even more romantic to me. My love of Opera was born. Shortly after I was divorced, my son stayed with his father for a weekend. I wanted to keep myself occupied so that I would not feel depressed that my child was not with me. This movie version of Carmen was showing at a small Arts Theatre in Norwood, Johannesburg. At that time, I was living in an area called Fourways, past Bryanston in the further northern suburbs of the sprawling metroplex. I was quite alone and would go to the opera, the ballet, theatre and movies by myself whenever I could manage it. Ballet and Opera would take me forty-five minutes north to Pretoria, the administrative capital of South Africa. There, I would attend the beautiful State Opera House and in those days, the shows were always worth the effort. This time, I drove to the concrete highway and made my way to the M1 and on to Norwood. I was in for an absolute treat. Bear in mind, dear Reader, that I saw this movie about twenty-five years ago and you will realize what an impact it made on me. I was not prepared for the emotional depth, the explosive passion and the fire that was stirred up in my being as I was transported by the music of Paco de Lucía, and the script and choreography by Carlos Saura and Antonio Gades (former director of the National Ballet of Spain). This production was based on the opera by George Bizet and the novella by Prosper Mérimée. 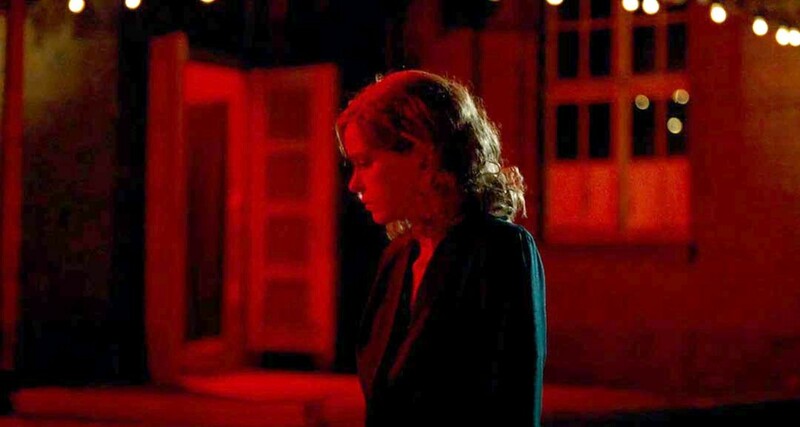 This film is the second in Saura’s flamenco trilogy. 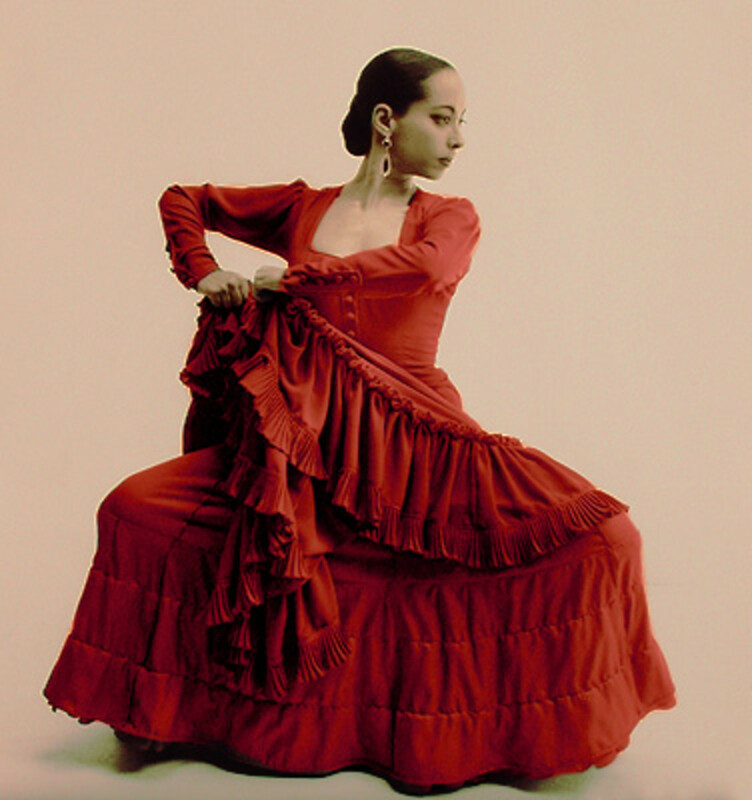 The film begins with middle-aged director, choreographer, and dancer, Antonio, seeking his perfect Carmen as the women in the dance troupe go through their paces for him, fingers clicking and feet rhythmic, we start to see and feel the passion inherent in Flamenco. Antonio watches intently as he puts each girl through her paces to try to find his Carmen. He decides to visit dance academies to see whether he can find the right girl. As singers and guitar players go through their paces with the music, Antonio listens to a tape of the soaring voice of Carmen, as she sings lustily and we can see that Antonio is haunted by the quality of her singing. The guitar players say that the music would be better as a “Buleria” as Antonio would feel more comfortable with it than the opera he is listening to, because he says that the orchestra is too slow as it accompanies voice and is not fast enough for Flamenco. Paco demonstrates with his guitar, nevertheless, Antonio tells him to play a little slower and calls his lead dancer, Christina, to dance a duet with him to Paco’s playing. The two of them dance with complete synchronicity and we begin to feel the smoldering pulse and passion of flamenco between man and woman as they dance seductively around one another. So much emphasis of flamenco is in the arms, hands and posture, which carries with it the personality and emotion conveyed by that particular individual performing the dance. Groups of people rehearse various parts to stage the show, and what we see is a rich tapestry of artists bringing their particular craft to the production, be it singing, guitar playing, dancing or acting. During rehearsals, as Christina is putting the dancers through their paces, with beautiful movement of arms and hands, Flamenco style, as they move poised and stamping their feet. Their hands are “slow and fluttering like doves” she tells them to hold themselves “like Queens,” and she and Carmen already show signs of rivalry. Antonio asks Christina to help Carmen with the role and there is a beautiful scene where Carmen follows her lead in front of a mirror. Christina dances beautifully and tells Carmen to “be graceful with your hands!” Carmen is a good copy-cat and follows Christina’s every move! Antonio believes that Carmen has what he wants for the role. As Antonio dances with Carmen, he instructs her to devour him and look him in the eyes while dancing – he wants more! He exhorts her to show him and do it on her own, and she does. Confrontation in the tobacco factory "Tabacalera"
We cut to a group scene where men are learning how to brandish their canes as swords, men are practicing the torero’s finesse in cape-waving, and people are sewing costumes, doing hair and doing all the preparations for the show. Antonio directs everyone to rehearse the “Tabacalera” in Seville (1830) – the tobacco factory. It is hot and as only the women are working there they make themselves comfortable (less clothing). Antonio wants them to feel the heat and the atmosphere. One of the women says she is on fire. The women take their places at the tables and a singer begins to sing with the others chiming in: “Don’t go near the brambles, because the brambles have thorns… thorns that tear aprons!” Christina stands and exclaims: “In this tobacco factory, there are bad girls and there are good girls.” She approaches Carmen and says: “There are more sluts than good girls,” turns her back and dances away. Carmen warns, “Don’t you mess with Carmen,” and threatens that she has a knife. The two women have a fiery flamenco confrontation in which the others join and form two groups, one with Christina, the other with Carmen, and the drama builds until finally, the heat, passion and melee of dancers ends when Carmen strikes Christina with the knife and the whole tempo changes as Christina sinks to the ground. Gendarmes enter to arrest Carmen and she shows her fiery, unsubmissive side and then beguiles Antonio with her fiery spirit as she seduces him, and he allows her to escape! This scene lies at the heart of the dynamic between Carmen and Antonio (Don José). This next clip gives me goosebumps up and down my arms! The film continues with the love story between Carmen and Antonio and we begin to discover that Carmen is only motivated by what will help her and is completely selfish but artful at manipulating the emotions of men. Antonio is rehearsing the Farruca when Carmen arrives at his place and he tells her that the Farruca made him understand all the dancing and he was grateful for it. Carmen asks him to dance it for love and he dances for her, the camera closing in on Carmen’s lustful face as she joins him in the dance and the seduction is complete. Antonio falls obsessively in love with her, but Carmen proves to be completely unfaithful and becomes bored with him and begins to flirt with all the other men. We don’t get to see much of the Toreador and the actual story line is a little thin when it is not sung as Opera or danced as Flamenco here. The story ends rather anti-climactically, unfortunately as Antonio finally stabs Carmen to death. There is a scene that I want to describe to you, Dear Reader, as it left its impression firmly in my mind’s eye. A group of men begin tapping their canes on the wooden floor in a fantastic rhythm. The camera is leveled at another group of dancers’ feet. The men begin beating out the rhythms as the dancers advance along the floor, feet filled with drama as they stamp furiously forward. There are high windows in the room and the light filters down at a slant so you could see dust motes floating in it as the dancers staccato forward. My stomach was in a knot and my arms were dripping with tension. Adrenaline was flowing freely within my body and I was drenched with sweat, feeling as though it was I who was dancing as the rhythm and energy coursed through me and the blood in my veins felt like fire. Endorphins exploded in my brain as my eyes and ears were filled with the fury of the flamenco and the dancers’ rapidly beating feet. I left the cinema with my senses saturated and my eyes, ears and brain spinning with Flamenco. My feet already tapping and body wrung out, I returned to my car where I happened to have Beethoven’s 9th symphony loaded in the CD player. It was late and the moon was full and not so high in its zenith that it was small… it was large and shone brightly except for a bank of thunderclouds that drifted across it, beginning to obscure its light. Sheet lightning flashed and backlit the cloud bank as if this was my own personal Amphitheatre, and “Ode to Joy” soared through my speakers. I literally saw the meaning of clouds having a silver lining. The highway was virtually deserted as I zoomed home on a natural high which I have felt a few times in my life. After a movie such as Carmen, and with the theatre of the heavens putting on my own, private, dramatic display as the chorus of voices soared through the night, I felt as though I was flying through the air and that God had staged a performance solely for me. I will never forget that night. Those natural highs are hard to beat! © This writing is the work of Sue-Lynn Grace. Thank you for reading my hub, dear Reader. I hope you enjoyed it, and if so, I would love to read your comments below.I always respond, so I invite you to return and find my response to your feedback. Your votes would be doubly appreciated too.Please feel free to share on Facebook, Pinterest and the like, or by emailing my link to your friends. I appreciate your time and interest greatly. Many thanks. What a passionate hub! I loved the dance between Carmen and Antonio. I remember playing this piece on the piano and it was always such a powerful moving experience. LOL, Debbie... thank you so much for that! :)))) Gonna pop over to your hub.... woohooooo! Carmen is one of the most performed of all operas and a lot of its music - including the Habanera and the March of the Toreadors, just to name two numbers - is known well beyond the opera house. Oscar Hammerstein II reworked the score into the 1943 Broadway musical Carmen Jones, a success in itself, but the original work remains a classic! I've always loved Carmen. This is an utterly fascinating study of the film! Wants me to go and see it. I like the way the film interweaves the Carmen production and the actual story line mirroring this. I love ideas like that. Your imagery, writing, videos all sing from the screen! Votedup/awesome. Wonderful, Rich and Rewarding read Sue. Great Review! As I mentioned, way back in High School, Music appreciation was given, and as part of the course, we went to NY, and saw "Carmen" the Opera. What an Experience! Thanks for sharing all these Wonderful Videos. My Votes of Up, Interesting, as well as Awesome & Beautiful, go to YOU! This version sounds wonderful I might have to go and see it. I became enchanted by Bizet's Carmen after I watched the Black version with Dorothy Dandrige and Harry Belafonte. At the time I did not know it was originalyl an opera, so did after a little research and went to it at the English National Opera. I was hooked. 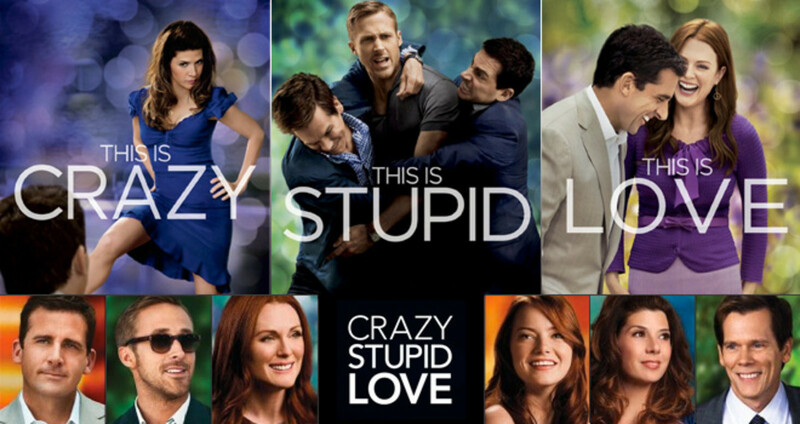 It seems to me that it doesn't matter what version it is, it still tells the story of love, betrayal and regret. This was one of the first classics I learned on the piano.....just got so riveted by the melodies. Thanks for reminding me of it! I have never been an opera fan (makes me fall asleep), but I did like your review. What a riveting report!! I was transported into the world of Flamenco! I am a dancer and have been enthralled with that dance form since the first time I saw it. I have seen CARMEN, the opera, many times. Never can I imagine a singer mastering this dance. As technical as ballet, it has an intensity that it in and of itself as no other dance form. One does not just "pick it up". It involves years of study. And then, only a few succeed. This report completely captured the intention (I believe) of the original CARMEN. Fair lifted me out of my seat, it did. I am Irish so Riverdance is another favorite. I long to read your 'take' on that one too!